We are in a unique moment in architectural and building engineering history when shifting world needs has asked us to question some of the fundamentals of how we have built for the last century and how we will build in the next. Wood is the most significant building material we use today that is grown by the sun. When harvested responsibly, wood is arguably one of the best tools architects and engineers have for reducing greenhouse gas emissions and storing carbon in our buildings. 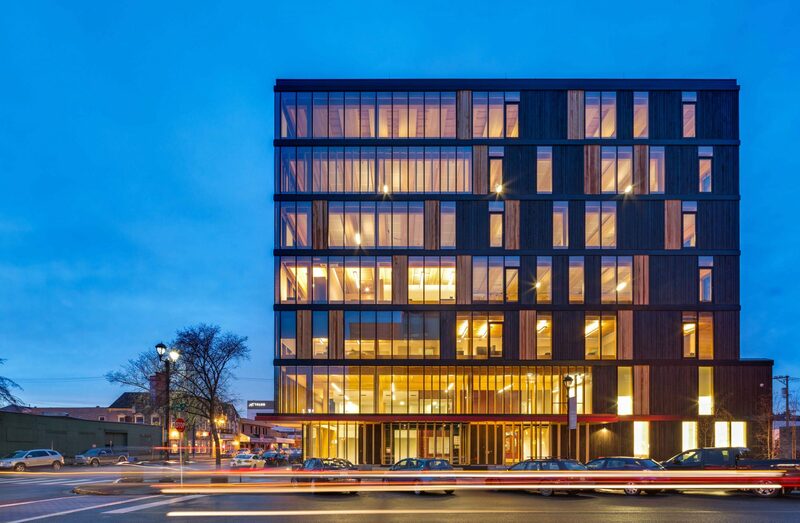 The Case for Tall Wood Buildings expands the discussion of where we will see wood and specifically Mass Timber in the future of the world’s skylines. As we pursue the solar and green energy solutions that Thomas Edison spoke of over 80 years ago, we must consider that we are surrounded by a building material that is manufactured by nature, a material that is renewable, durable and strong. Purchase the hard copy on Amazon. Licensed by BY-NC-SA Creative Commons.